Joseph earned his MFA at NYU’s Tisch School of the Arts in 2014 and received his BA in American Studies/English from the University of Southern California. At NYU, he received the 2014 Dramatic Writing Chair’s Award and a 2014 NYU President’s Service Award. One of his screenplays, James Dean America, won the 2014 NYU Dramatic Writing Screenplay Showcase and was a semi-finalist in the 2015 Final Draft Big Break Screenwriting Contest. Prior to working at UCLA, Joseph worked as a production assistant and video playback production coordinator for feature films and television shows. He went on to work at the UCLA Center for Health Services and Society in 2010 where he was the executive assistant to Center Director, Dr. Kenneth Wells as well as project manager of the UniHealth funded study, “Preserving Patient Safety and Quality during Transition to the New Ronald Reagan University Medical Center” led by principal investigators Dr. Elizabeth Bromley and Dr. James Atkinson. 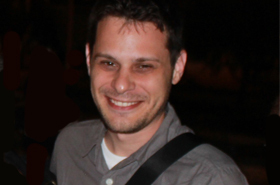 He was also the administrative director of Media and Medicine for Communities (now The Narratives Project) in which he planned community outreach events regarding depression and mental health stigma including talks with author Ned Vizzini and The Buried Life’s Ben Nemtin and was lead author on a commentary for community partners to share their stories. Upon returning to UCLA during his summer between grad school, Joseph co-wrote/co-produced a short film regarding depression and the Community Partners in Care study that was accepted into publication. Currently, he is the director of the The Narratives Project, project manager for the CPIC-Brooklyn Project (UCLA team) as well as project manager for research studies related to Chorus. The center produced Joseph’s play about depression, “The One With Friends”, at UCLA in 2016 and 2017; he was the Principal Investigator on the research study component of the play exploring how the arts can help promote healing and de-stigmatize mental illness, specifically major depression and anxiety. The Narrative Arts in Medicine program, under the California State Center of Excellence for Behavioral Health, explores the effective use of patient narratives, media and creative arts to stimulate support, sharing and reflection among stakeholders to increase coping and compassion for severe mental illness. The Communication and Technology Core will sponsor advances in community and information technology to facilitate dissemination of evidence-based practices in mental health and to increase the reach and quality of services in key areas, through developing infrastructure, linkages, innovations, and pilot programs. Mango JD, Lizaola E, Zhang L, Zima BT. Addressing Depression Stigma Through the Arts Using a Play Inspired by the TV Show Friends. the Behavior Therapist. In Press. Castillo EG, Ijadi-Maghsoodi R, Shadravan S, Moore E, Mensah MO, Docherty M, Aguilera Nunez MG, Barcelo N, Goodsmith N, Halpin LE, Morton I, Mango J, Montero AE, Rahmanian Koushkaki S, Bromley E, Chung B, Jones F, Gabrielian S, Gelberg L, Greenberg JM, Kalofonos I, Kataoka SH, Miranda J, Pincus HA, Zima BT, Wells KB. Community interventions to promote mental health and social equity. Current Psychiatry Reports. Accepted. Mango JD, Griffith K, Kacsits O, Plaia M, Santostefano A, Flores J, Haywood C, Jones A, Kirkland A, Williams P. Commentary: Community Partner Experiences in CPPR: What Participation in Partnered Research Can Mean to Community and Patient Stakeholder. Ethnicity & Disease. In press. Mango JD, Saks ER, Skrine Jeffers K, Wells M, Chung B, Jones L, Well KB. Addressing Mental Health Stigma Through the Arts: Development of a Stakeholder-Academic Partnered Program. the Behavior Therapist. 2018 April;41(4):200-08. Mango J. A Story of Living – and Thriving – With Schizophrenia. The Huffington Post. 2016 Aug 22. Mango J, Cabiling E, Wright A, Jones F, Jones L, Ramos A, Pulido E, Wells K, Chung B. Community Partners in Care (CPIC): Video Summary of Rationale, Study Approach / Implementation, and Client 6-month Outcomes. CES4Health.info. 2014. Khodyakov D, Stockdale S, Jones F, Ohito E, Jones A, Lizaola E, Mango J. On Measuring Community Participation in Research. Health Education & Behavior. 2013 Jun;40(3):346-54. Khodyakov D, Stockdale S, Jones F, Ohito E, Jones A, Lizaola E, and Mango J. An Exploration of the Effect of Community Engagement in Research on Perceived Outcomes of Partnered Mental Health Services Projects. Society and Mental Health. 2011 Nov 1;1(3):185-199. O’Hora, J.L., Arevian, A., Mango, J., Jones, L., Jones, F., Banner, D., Jones, A., Williams, P., Booker-Vaughns, J., Hernandez, N., Wells, K., Miranda, J. B-RESILIENT: Addressing Disparities in Mental Health Through Community App Development. UCLA Behavioral Health Center of Excellence: Poster presentation, Los Angeles, CA. Congdon, E., Arevian, A., Mango, J., Chen, V., Narr, K., Espinoza, R., and Freimer, N. Mobile Mood Assessment Following a Treatment Intervention for Depression. UCLA Behavioral Health Center of Excellence: Poster presentation, Los Angeles, CA. 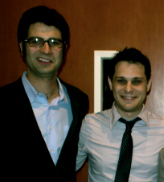 I met Ned Vizzini in Sarasota, FL. I was visiting my parents for the Thanksgiving holiday and Ned just happened to be speaking at Sarasota Memorial about his experience with depression. I was going through my own rough patch at that time and his presentation was the motivation I needed. Earlier that summer I had contacted Ned, after reading his acclaimed semi-biographical novel “It’s Kind of a Funny Story”, to inquire if he would be interested in speaking at UCLA since the research center I worked at focused on depression outreach/education in Los Angeles with an organization called UCLA Media and Medicine for Communities. My goal was to screen the film based on “It’s Kind of a Funny Story” followed by a Q&A and discussion about depression with Ned. I wasn’t able to make the screening happen for UCLA, but Ned and I kept in touch in hopes we could still work something out to host an event with just him since he gave great motivational talks. And then on that trip to Florida, I saw an ad in my parents’ local newspaper that Ned would be in Sarasota. I e-mailed Ned that I just happened to be in Sarasota and would be there. Ned’s a great public speaker and after witnessing his inspirational presentation, I knew the UCLA community would greatly benefit from it. After the Sarasota event, we finally met after months of e-mail exchanges and we got right into talking about movies. We had both enjoyed Edgar Wright’s Scott Pilgrim Vs. the World which came out that summer and we thought it was a fresh new take on movies. He invited me to check out a band at The Echo in Silver Lake when I got back to LA. I would soon find out that he had the coolest taste in music. At the concert, I let him know that I was still trying to make it work for him to speak at UCLA and offered the date of February 8, 2011, which coincided with the DVD release of the film. And we wanted to present him with a special award (UCLA Media & Medicine Award for Excellence in Public Advocacy Through the Arts) that I had the honor to present to him. He spoke about his personal journey with depression and suicide and gave some great messages of hope, for one–“Keep your antennae up.” He answered questions and signed copies of his books, but the most moving part of that night was when a high school student told Ned she took a five hour (it might have been more) bus ride just to get the chance to meet her favorite author. He took time out to talk to her and take a picture. Here’s what I have come to learn about Ned these past few years: he is one of the most gracious, humble, enthusiastic and coolest persons I have met who always had a smile on his face. He answered every e-mail, responded to all his fans, and gave hope to a generation who felt lost. I looked up to him. He was living the writing dream and soon found himself on a few TV shows (Teen Wolf, Last Resort) as a staff writer. Ned’s new book, “The Other Normals”, was debuting in the Fall of 2012 and he was invited to read an excerpt from it and compete in an LA Literary Death Match. I gathered up some friends to support him at the event and he ended up winning the medal. There were probably dozens of people he knew at that event, but he spent most of the time hanging out and talking to my friends and I. We talked about movies of course and exchanged screenplay stories. And then I would learn he was hired to co-write a new book series, “House of Secrets”, with one of my film idols, Chris Columbus. Ned and Chris came to NYC to promote the book at Barnes & Noble in April 2013. I met one of my writing idols that day and was so happy for Ned, but sadly that would be the last time I saw Ned. I was excited to learn that soon after Ned would be working on Alfonso Cuaron’s & J.J. Abram’s new television series Believe. And I was hoping to catch up with him when I went back to LA for the summer, but that didn’t happen. On December 19, I logged onto Facebook and noticed “RIP” messages in my newsfeed addressed on Ned’s page. My heart suddenly sank. This couldn’t be true. The next day it was confirmed, Ned had passed away from suicide. I felt empty–someone I looked up to and gave me hope when I needed it most, was no longer here. I felt truly grateful to know Ned, not only a gifted writer but such a kind soul and my thoughts and prayers continue to be with all his family and friends. When I think of Ned, I still think of hope. He gave me hope that day in Sarasota. And I will continue to keep my antennae up. Ned will always be remembered as a great guy, a guy who gave a voice to depression and inspired a generation young and old. Thank you Ned. May you rest in peace and know your friendship will be cherished and your life and stories will be celebrated. It is important to be educated about depression and all the help that is out there and to know that there is help and support out there. Here’s a link from the National Institute of Mental Health for more information: http://www.nlm.nih.gov/medlineplus/depression.html. If you or someone you know is in need of urgent help, please don’t be afraid to seek help. You may reach the National Suicide Hotline 24 hours a day/7 days a week at 1-800-273-8255 or visit http://www.suicidepreventionlifeline.org for more information. If you live in Orange and Los Angeles County, please call the toll free 24 Hour Suicide Prevention Crisis Line at 1-(877) 7-CRISIS or 1-877-727-4747.